We understand that not everyone wants to book outside caterers, as many people do enjoy cooking themselves. Or maybe you own a hotel or a pub and are looking for that added attraction! Our hire packages are fantastic for those who do not need the catering service, yet still want to create the perfect hog roast themselves. You may need to hire a hog roast machine as a one off for your own garden party, or you may opt for a monthly hire package and add the additional service onto your hotel. Whatever your requirement is we will have the hire package to suit you. You know that when you shop with us, you are buying from a reputable company that is honored to have very experienced staff. If you choose to have your machine shipped, we deliver our items in very sturdy boxes. They are extremely easy to assemble. We will assist you in set up or answer any questions that you may have before we leave. The instructions to our machines are made very simple. We took the hassle out of our instructions that may be a hurdle when buying other products. We want our instructions to be useful and not frustrating. If you are newer in the world of hog roasting, we would be glad to help you put together a package that is right for you. We are highly experienced in what we do and are very glad to help. 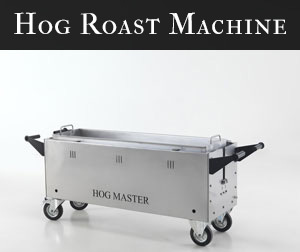 We know that buying a hog roasting machine is a large purchase. We will walk you through all of your options. If you would like to view options before and/or after coming to see us, we would be glad to send out information to you via email. Catering can for many people and events be a little bit too much, whether in regards to money or just having chefs and waiters/waitresses intruding on a hog roast Lands End private party or business meeting. Buying machines can also be out of financial range for most individuals and small businesses, and even when affordable it’s still a gamble for those who have yet to experience our hog roast catering or machine hire service. If you would like to true before you buy we’d be delighted to offer you one, two or several of our machines for hire. At only £200 a week – for one machine – it’s a real bargain. 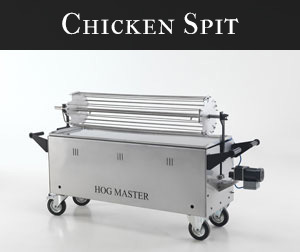 We hear many reasons from our clients for buying our machines, but one of the more consistent is the increased popularity and turnover that comes with our spit roast machines. When you’re hog roasting you aren’t just creating heavenly food, you’re also creating an extra stream of interest and income. You’ll be blown away by just how many more people come through the doors for no other reason than that the word has gotten out that you do Liskeard hog roasting. People don’t even necessarily have had to have even had a hog roast before, but it sounds different and can break routine. Most people have their favoured restaurants, pubs, cafes and takeaways that they return to time after time, what better way to attract people away from the competition and to your establishment than with hog roasting? That’s one of the many great things about a Cornwall hog roast, not only does it taste great and make much more money than conventional cooking methods, it also generates a heap of interest and gives you a clear distinction from the rest of your competitors. If you’re in a high market, cut throat industry, hog roasting is a great weapon to have amongst your current arsenal. There are so many foods and dishes you can cook with our machines: Pig, chicken, lamb, beef, potatoes, pizzas, burgers, kebabs, salads, either by spit roast, frying, boiling or barbecuing. The possibilities are endless: spit roasted jerk chicken, pig roast sandwiches, spit roasted beef to compliment a Sunday roast! 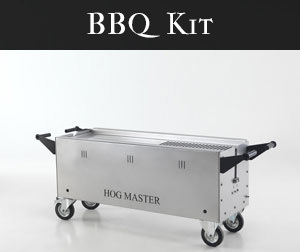 Imagine a hog roast machine or two on the go in your Pubs beer garden or open view Kitchen, it’s sure to peak interest and be a hugely popular addition to your establishment and menu. Greater still is that if you’re happy with the machine and don’t want to give it back we can negotiate a special price for an ongoing hire service. The machines aren’t only great for fellow caterers either. They really come into their element at parties, barbecues and the like. It’s easy to impress your family, friends and neighbours with a spit roast machine and who better to hire from than the hog roast catering company that sells hog roast catering machines to most other hog roast caterers! You can have an industrial standard machine at your party for nothing more than £400 a month or £200 a week, and ever better you’ll save a ton on food. It’s easy to make the mistake of buying loads of party food and assuming there’s plenty of food for everybody, but what’s most often the case – even when you think you’re over prepared – is that within 20 minutes your self styled buffet table has been left empty, with nothing remaining but a surplus of crumbs on your brand new carpet! The problem with snack foods is that they get ate, rather quickly. In stark contrast when you hog roast, if you have a decent sized animal it’s unlikely that come the end of the night your guests will be without food. For example, if you were to cook a 90kg pig you could feed up to three hundred people and do so with very decent sized portions. Or if you don’t want a pig you can cook 30 chickens. Whatever your preference one thing that’s for certain is that the food won’t be gone in almost the blink of an eye. You can mix and match too, cooking chickens, cuts of pig, lamb and beef at the same time! So everyone’s happy. You can even use the machine to cook for vegetarian guests, the BBQ grill is great for soya burgers and sausages and you can pan cook salads and side dishes. If you want some food inspiration why not look at our own catering menus to see what our favourites are? Better still, why not give us a call to discuss in more detail the services we offer.